Would you like to rent a metal container? - Get in touch with us and find out the rental costs. - It is free ! If you looking to move to Australia all your possessions and require to rent a sea container we have an option for you. There is no need for you to rent the container if you use our company to ship it to OZ. You may want to hire a container for many different reasons. That's why we offer a wide range of used and new containers. Just let us know what's the size you need and the purpose. We have everything to meet your requirements - Large, small, new and used for sale or rent. New container rental directly from the factory and used sea container hire. New and used containers can be used to transport new military products, ammunition, explosives, or dangerous products that require special larger 40 ft containers. 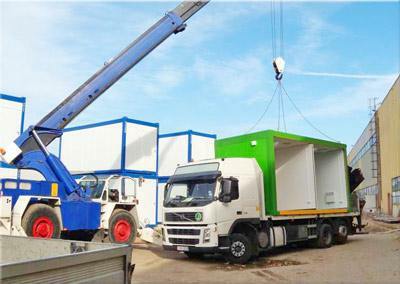 Rented container is mainly used for one way removals, between multiple locations around the world. Our sea containers for rent are accepted in many but not only in the major ports. There are approved to enter all minor ports and towns around the world too, including the Americas, Europe, Asia and Australia. Our container rental services also include one-way transport rental of refrigerated containers and other special boxes. Container rental is a quick and inexpensive way to increase a storage space or arrange an off-site storage at your house or a building site. Leased containers may also be used when shipping from the UK to Australia. Each container for rent may be picked up and shipped to the majority of our business partners worldwide. 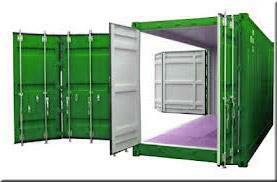 All our sea containers have on the narrow side double doors that open to the full width. 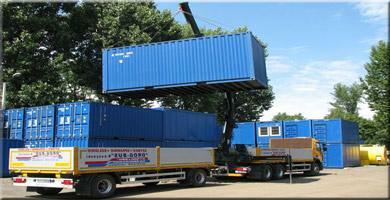 Steel containers fro hire are ideal for use as a portable storage or as containers for goods in transit. We have many years of experience in trading and renting 20 ft containers. We offer new and used containers ISO 20 and ISO 40. All containers are technically sound and tight. Used sea containers (from our rental fleet) are available on deposits: London, Birmingham, Bristol, Manchester, Liverpool, Leeds, Glasgow, Edinburgh and Aberdeen. If you are interested we can arrange delivery of containers to any place in the UK. Rent or buy a container? You decide which is more beneficial to you. The service offered by us is a long-term rental lease (minimum six months). Our fleet consists of new social and office containers, sanitary (as standard equipment) and storage facilities. On request, we also provide so-called 'Ready to use containers including container shipping, setup, installation, additional equipment in the form of stairs, etc..